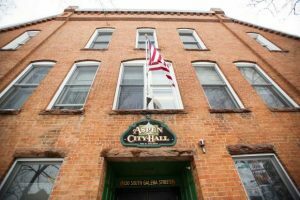 The city of Aspen will add just over 11 full-time employees to its payroll next year, amounting to more than $1 million in salaries, benefits and other associated costs. The city has been adding new positions every year since the economy rebounded after the great recession, but not to this extent. “It’s the biggest number I’ve put forward,” said City Finance Director Pete Strecker. 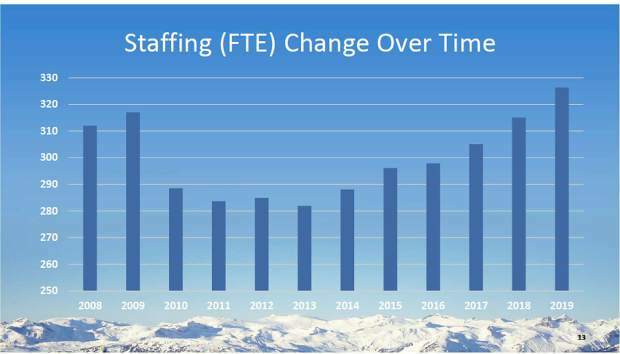 He explained when presenting the 2019 budget to Aspen City Council this fall that next year’s staffing level will be similar to 2009, which was just before the effects of the recession hit locally. In 2010 and ensuing years, positions were eliminated and city employees’ benefits were reduced. But it wasn’t done too drastically, which Mayor Steve Skadron said he credits City Manager Steve Barwick for finding the right balance in staffing levels. 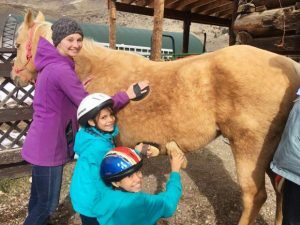 “I credit (his) calm hand; he was careful to not over staff or cut too much,” Skadron said. In 2019, there will be 326 employees working for the city of Aspen; currently there are 315. Assistant City Manager Sara Ott said bringing the staffing levels back to where they were 10 years ago is appropriate given the feedback the city has received from the community. There are additions to several departments — some necessitated by a changing landscape in technology and the municipal government adding to what it oversees. Three new positions relate to information technology within the city, amounting to almost $225,000. The biggest chunk of change is $257,080 in salaries and associated costs for employees at the Red Brick Center for the Arts. 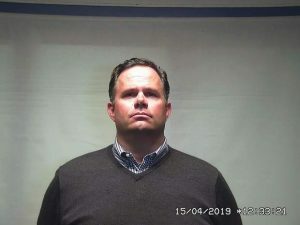 Because of an alleged embezzlement from the nonprofit’s former executive director, the city absorbed the Red Brick financially and administratively. The city is now responsible for paying the director, a maintenance technician and a part-time administrator. As a result of ineffective communication on a number of initiatives that the city has undertaken in the past year, the government is creating a new communications director position. The total cost for that position, including salary, benefits, equipment, training and workspace is $158,430. Another $123,460 is going to 1.25 full-time employees to plan for succession in anticipation of multiple employees retiring in the near future. The city also plans to hire a management intern for two years, with the first year costing $82,490, although the city is hoping to recoup $38,000 in a state grant. The intern position is in partnership with Colorado Department of Local Affairs and the University of Colorado Denver. The person will be a full‐time master’s degree student seeking entry-level project management and policy analysis opportunities in local government. Based out of the City Manager’s Office, the intern will focus on supporting City Council’s top 10 goals through policy analysis, planning and oversight of projects. A business analyst position will be focused on the local affordable-housing program’s new software. That position costs $85,800 annually. Skadron said he doesn’t see the additional positions as government growth but necessary to provide the level of service residents have come to expect with the passage of taxes for particular programs over the years. 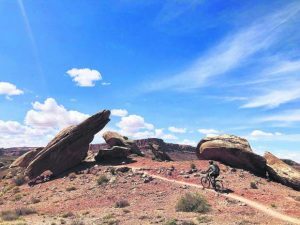 The Parks and Open Space department is funded by a sales tax and its growing inventory has put pressure on the staff. A field supervisor position is being added for $53,560 to manage the downtown clean team, and for $80,870, an irrigation specialist will be hired to properly water public parks with efficiency and conservation in mind. Strecker said various departments in the city asked for other positions but not all were approved. The vetting process begins in the City Manager’s Office and new positions are decided based on need and the metrics behind the ask. Skadron said the creation of some positions is necessary as the surrounding environment changes. He used an example in the Finance Department when an auditor was hired to track VRBO rentals to capture the lodging and sales taxes from private homeowners.